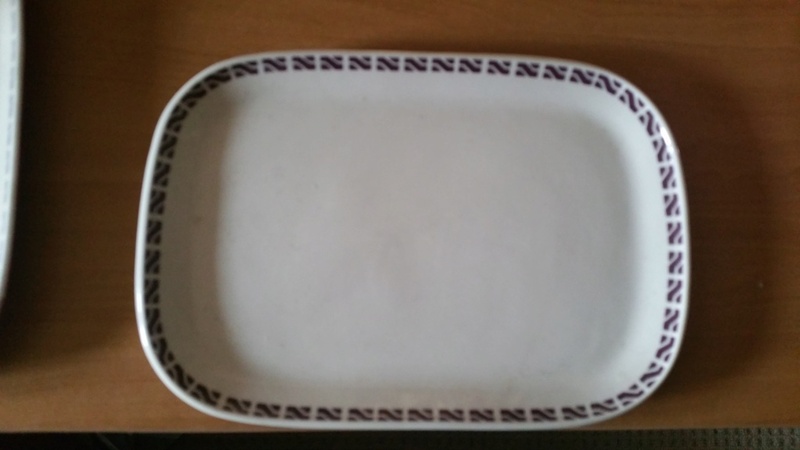 What number is this vitrified 'Sandwich Tray' ? It;s an 8616. 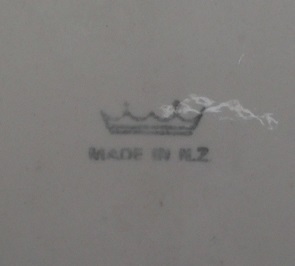 Gosh I've had this for many years and never looked into it, but just realised that it is vitrified even though it doesn't say this on the base and just has the single crown stamp and Made In NZ. 133mm across x 191mm long. The flowers are very familiar and have been named I feel and are later rather than early from memory, but I have yet to find it. 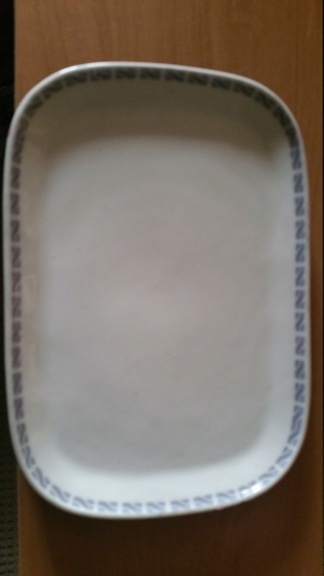 Re: What number is this vitrified 'Sandwich Tray' ? It;s an 8616. 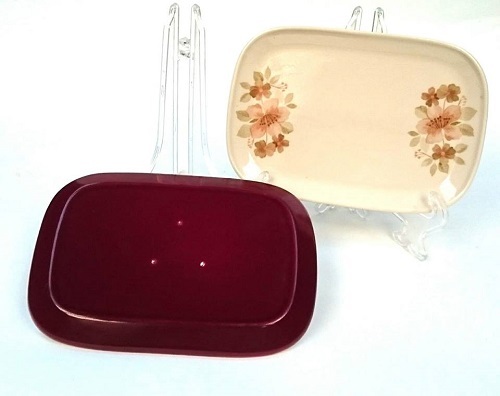 Dish Sandwich 190x133 in the Colony Vitrified Shapes on the 2nd row between the casseroles. There is so much information on these two Colony photos that we don't have, but we have to work out the shape numbers from the measurements and descriptions. I see the small square hospital dish beside the sandwich tray as shape 8619. Hmmm I just came across a Sandwich Tray .... Shape 847 and wonder if this could be it. The drawing doesn't give anything away and it is in the Gallery. 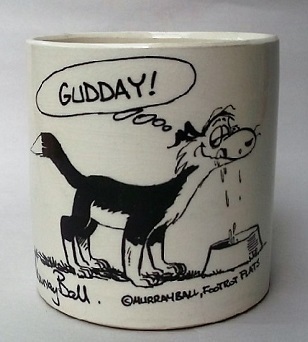 I have one of these as well in a different pattern. It has the same backstamp. Thanks makut. According to Val Monk the stamp is from 1970 - 1980 so I wouldn't really expect these to have a three digit number, so I'm stumped atm. So thrilled to have finally identified this shape as an 8616 which was first made in 1970 for the Silver Star and Co as a Squarish Side Plate. If I had one of those plates with the nzr logo around it I would have identified it long ago. 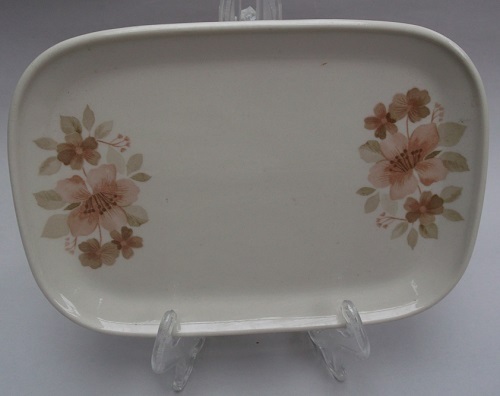 Do you know the name of the brown floral plate, I have trio in this. 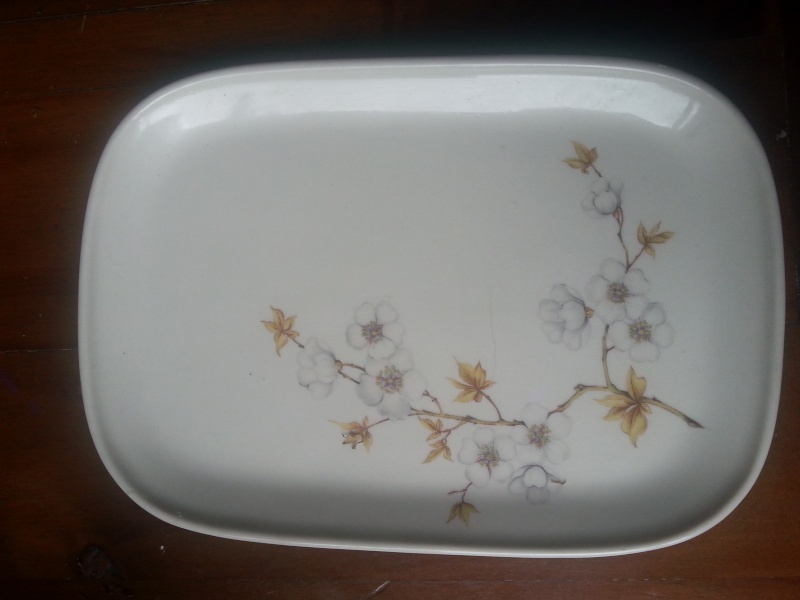 Nana2x2 wrote: Do you know the name of the brown floral plate, I have trio in this. We think it is called Melody, but we are still waiting for confirmation. I found the Melody pattern and wasn't sure if it was the same name. I think I said it was the same pattern in the t/me listing.